With the global green movement converting consumers, big businesses are finding that being environmentally friendly can pay off, and business schools are joining the trend. And Exeter most certainly is not the only place where business students can draw inspiration. 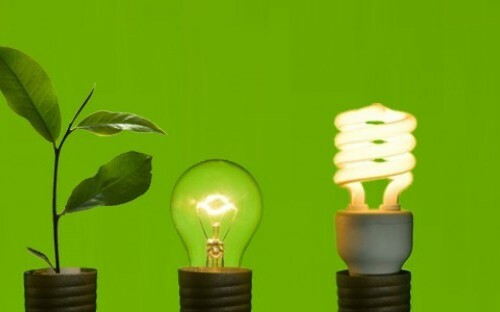 Business schools are looking closely at ways that firms can go green and create profitable new markets at the same time. Meanwhile, Giselle Weybrecht, author of a newly published book called The Sustainable MBA: The Manager's Guide to Green Business, decided to take matters into her own hands. With an MBA from London Business School under her belt, Giselle takes readers through an easy-to-follow step-by-step process of going green. Her book is set out like a business school course with tips from accounting, economics, ethics, entrepreneurship, finance, marketing, organizational behavior, operations and strategy. We spoke with Giselle about the creation of the book and how she came about it. I wrote the book that I was looking for myself and couldn't find. I worked in sustainability for many years internationally and realized that in order to see real changes in this area we need the business sector to get more involved. That is why I chose to do an MBA in the first place. The problem is that employees, managers and MBA graduates do not know enough about how to bring sustainability into their careers and businesses. The first step in bringing about change is to educate the next generation of business leaders and that is what the book aims to do. How long did it take you to write? How did you manage to juggle your other time commitments? The project began during my MBA as my second-year project. I took the time to explore how to raise awareness about sustainability with managers. The response was incredibly positive so when I graduated I decided to dedicate myself full-time to make it happen. I sat down for a full year and just immersed myself in it. You managed to convince over 100 different industry experts to interview with you. How did you do that? I spent time looking for individuals who were not only experts in this field but were willing to be open and honest about the benefits and challenges of sustainability. I presented the project to them and everyone was so enthusiastic and supportive. I was also really lucky to have some incredible individuals endorse the book once it was finished such as the Director-Generals of the UN Environment Program and the UN Global Compact, the CEO of Unilever and the Dean of London Business School. If you could give one simple, easy-to-follow tip on how to make a business go green, what would it be? Take it seriously. Going green isn't just about saving the world or doing the right thing. If taken seriously it can have real benefits across the business. If you are able to apply sustainability principles to different parts of your business, then you will start to see the benefits to the business as a whole. 'The Sustainable MBA: The Manager's Guide to Green Business' is a guide for those interested in what the business sector can and is doing in business and sustainability with lots of tips on how to get involved and how to bring these ideas into your job, whatever job that might be. It is organized like a business school course - allowing easy access to information on sustainability. For more information, visit the website at http://www.thesustainablemba.com/. such a great idea, nice one giselle! i tip my hat off to the author for taking such initiative. Business schools need to ask themselves what industries they are sending their students into...broad-based "investment banking and ummmm...i guess consulting" answers are not enough anymore...these are simply service industries. One must ask whom or what other industries are they serving? In the past, for many ambitious yet directionless students IB and Consulting were just pigeon-holes professions that pay well and inadvertently exasperated the great recession because their implications were little understood..
ha ha jamil - not sure everyone thinks investment banking is 'peripheral' job!